365 Fashion and Lifestyle: JEFF KOONS. GAZING BALL. 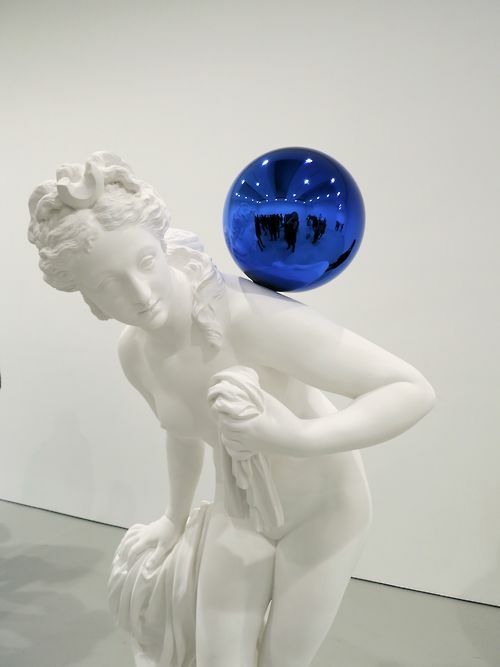 David Zwirner is pleased to present Gazing Ball, the world debut of a new series of sculptures in the gallery’s West 19th Street spaces. One of the most prominent artists working today, Jeff Koons is well known for his bold paintings and sculptures. Typically working in series, his art holds up a mirror to contemporary consumer culture, using the photorealistic, commercial aesthetic familiar from an earlier generation of Pop artists to generate his own unique and universally recognizable style. His subjects range from toys to inflatables to household items to luxury goods and sexualized imagery. His references to popular media are evidenced not merely in his choice of subject matter but also in his visual techniques: his sculptures often involve smooth, glistening surfaces while his paintings employ bright and saturated colors. More about the artist, right here.